I’ve always thought skateboarding was exercise – killer core exercise to just ride. 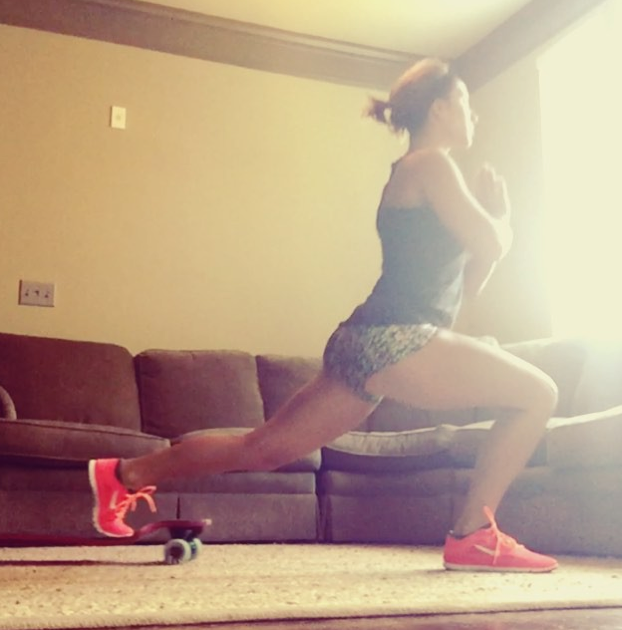 Lindsey Cowart – who’s bio reads Faith, love, and fitness takes it a lunge further. Let me say – it’s harder then it looks – so while I encourage everyone to try this at home – work up to variations and repetitions. Enjoy the journey and celebrate progress! “Making friends” with your board is a real thing. If you fear your board your riding skills will be limited. 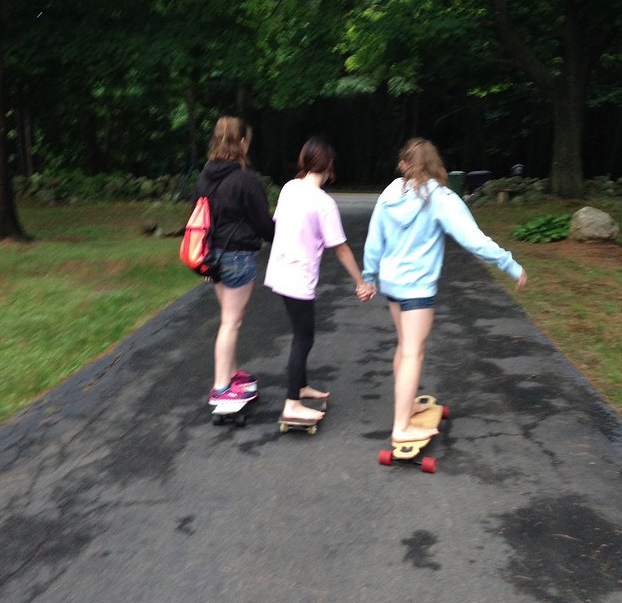 If your board is your friend, you can have endless adventures together. Till next time keep it stylish on & off the board! The photographer, Patrick loves mountain biking, downhill, snowboarding, skateboarding, and passing the love of action sports to his 7 year old daughter (Xenia in the picture) and his 10 year old son. 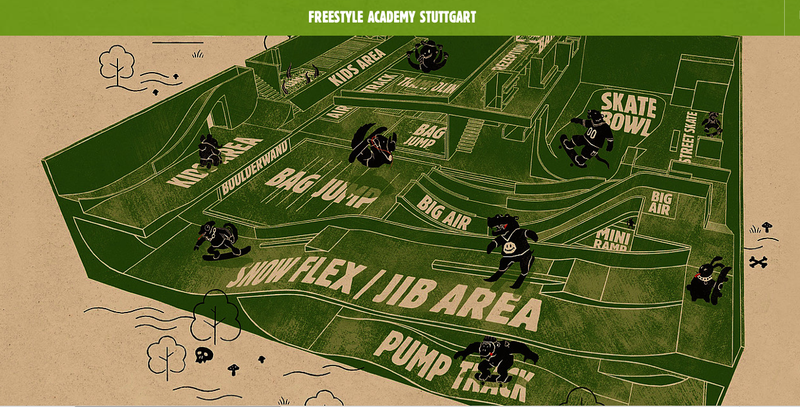 So what is Freestyle Academy Stuttgart? I didn’t know so I googled it. OMG it is- Snowboarder, Freeskier, Skater, Freeclimber, Parkour, Freerunner oder Biker – the Freestyle Academy Stuttgart has something for everyone! Europe’s biggest and Germany’s first Freestyle Indoor Base is a modern playground for all freestylers. An area of around 1600m² gives you your money’s worth – regardless of whether you are a beginner, intermediate or pro. I want to go to Rutesheim, Germany and check this place out. It looks amazing and I see from the picture of the girls they support girl skateboarding, so this is added to my Bucket List of places to skate. 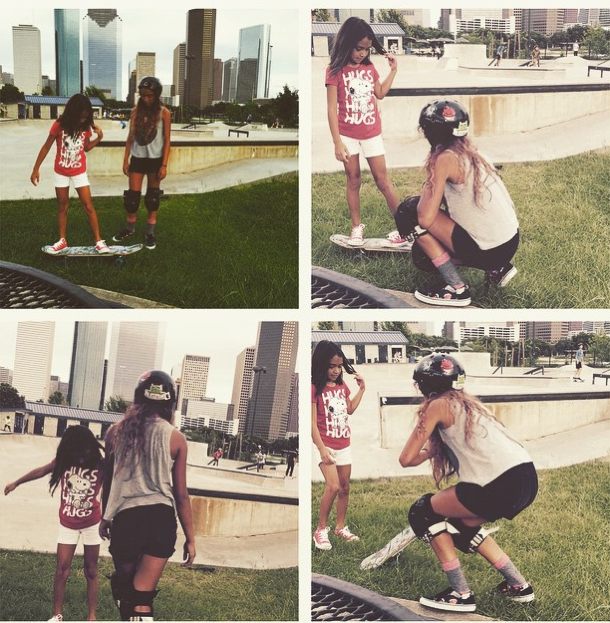 Thanks so much to Patrick for inspiring your daughter, who is now inspiring other girls to skateboard for fun. And for sharing this incredible location with us. 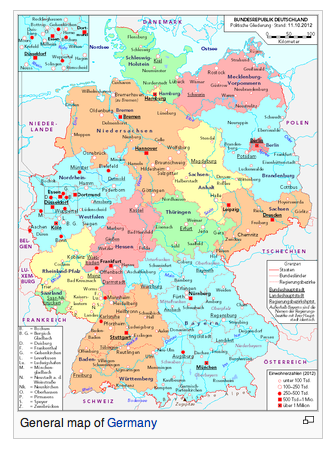 Before this blog I had no idea what fun was going on in Germany. 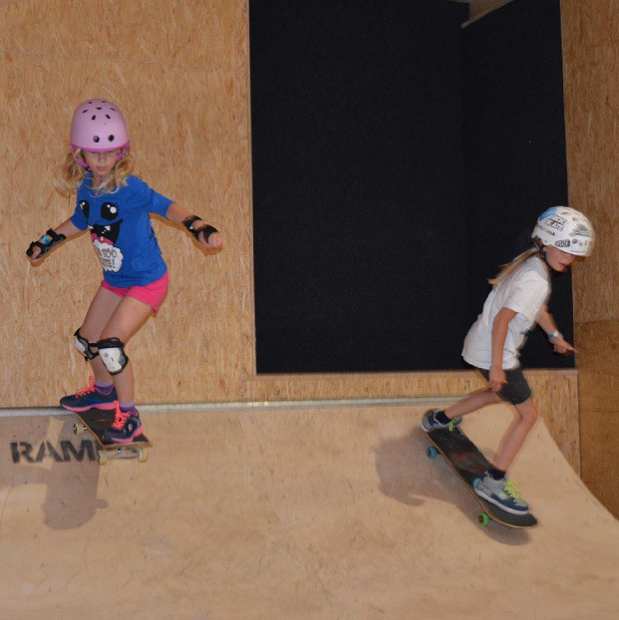 Yes – skateboarding makes learning fun. Keep up the stylish shredding Xenia & Phili – you really are inspiring other girls to try skateboarding for fun and learn geography! I’m all about girls skateboarding for fun. If they are going fast awesome – if they are making a documentary let’s help them. I found out about @girlsgonefast through @gnarly_x_carly. 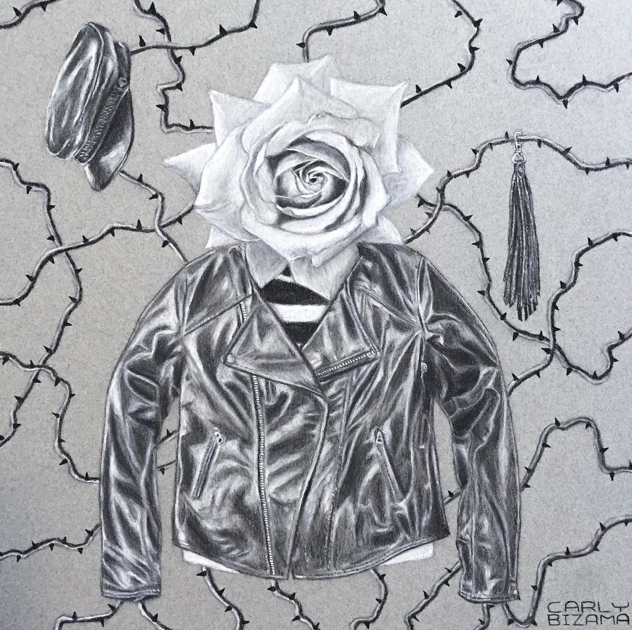 I’ve actually blogged about Carly because she’s both a skater girl and an incredible artist. This is one of her pieces for @volcomwomens new line #StoneRow. I love all things fashion – so it’s a given I’m here to support Carly. 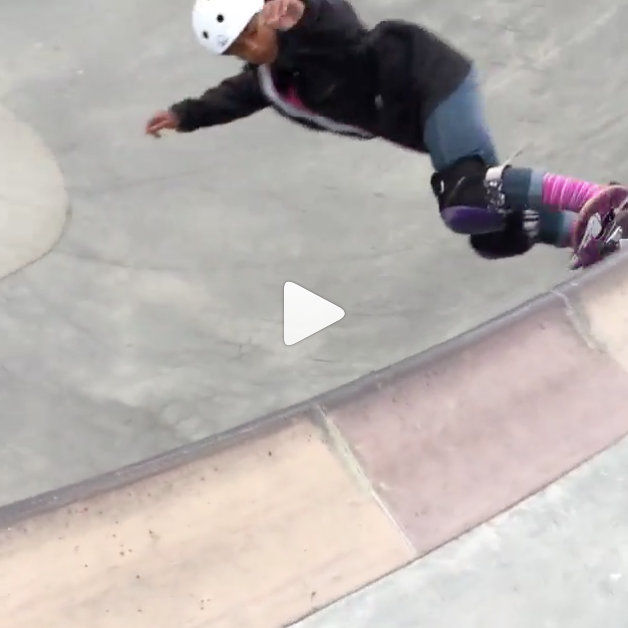 The SheRiders believe that more female media is key to women’s progression in skateboarding. They hope the documentary will encourage the growth of female skateboarding, and the creation of female media. I 100% agree that more girls skate when they see girls skateboarding. It’s why I started this blog and it’s why I will follow the journey of She Tour 2k15 and encourage you to do the same. The SheRiders set off in a few days and they are oh so close to their FUNdraising goals. If you can, please help them out by clicking on the pic. I read this quote on the She Tour 2k15 site and I agree. 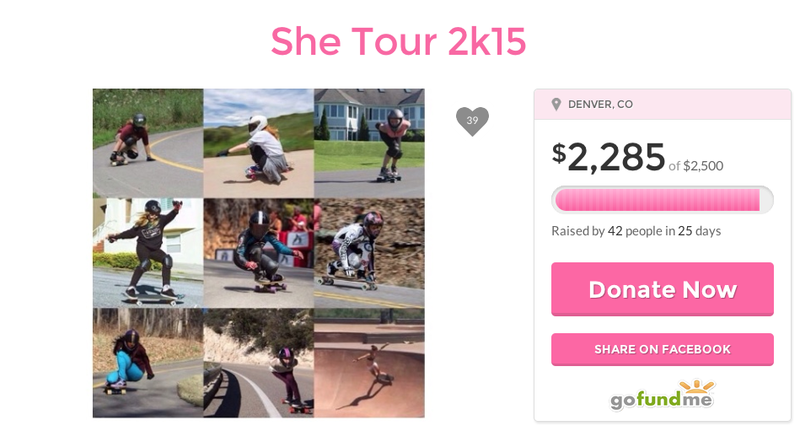 Alone we are one person but we all have the power to step up and cast a stone or in this case blog /document that girls can skateboard – pictures do speak a 1,000 words – let’s celebrate the She Tour 2k15 pictures together. I got this rad pic from Victoria and it was captioned the end of a fun & busy day! Skateboarding should be fun on any board at any level. When I see stylish girls like Victoria and her friends, I’m giving them a shout out because those are the girls I want to see more of – those are the girls I want to skate with – girls who encourage and include other girls are the stylish ones on & off the board! Keep sending me pictures and stories of how you skate for fun & include other girls – more girls do skate as they see other girls skate and they feel included! rainnaa__ has been skating for about 6 1/2 years and thinks of skateboarding as her best friend and therapist. When she goes skating she stops thinking about anything bad or everything period and focuses on skating and having fun. 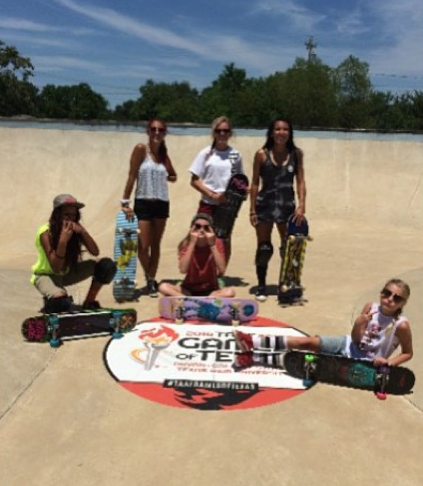 Here’s rainnaa___ at College Station with some of her skater friends. And here’s rainnaa___ in a picture from lawyer4life, who has a daughter named Jordan that rips. It’s amazing how many skater girls are already out there and how they support each other. Jordan aka extremelife2003 is 11 and rainnaa____ is 13. We all win when we support each other. Girls supporting other girls is always in style both on & off the board. 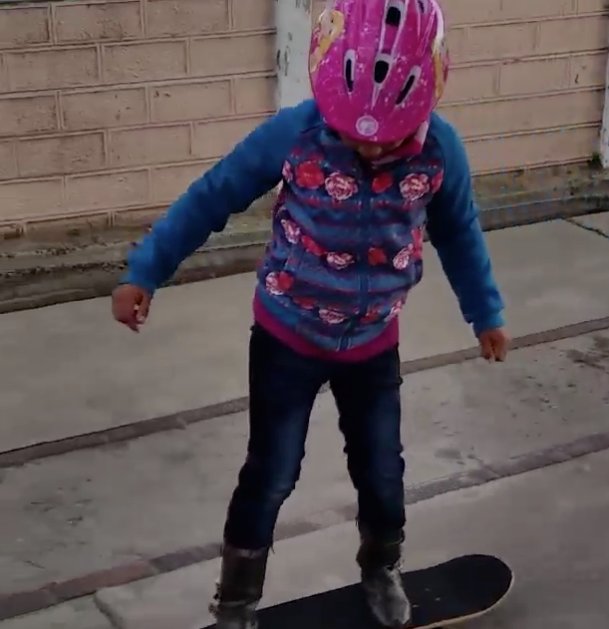 Thanks o_mercado1 for sharing – love to see girls skateboarding in bowls and so rad that more and more girls are meeting up for girl skate sessions. Like it’s fun to skateboard with boys – there’s just something special when girls skate with girls and encourage each other. Be an encourager to other girls – it’s super stylish. Everyone should be welcome at the skate park – that’s what skateboarding for fun is all about. Abby is keeping it stylish and having a rad time on her skateboard. Check out duane2501 video to see more fun. I love when parents encourage their kids to try new things and have fun. Trying new things can be scary – encouragement reduces scariness. Till next time keep it stylish on & off the board by facing what’s scary – you got this – we are all born with style! This is meryemgoumi and she loves to have her feet on a board. I love her stylish skating and I’m happy she shared this awesome picture. If you love to have your feet on a board share your pictures & stories. I just added a contact tab to make it easier. 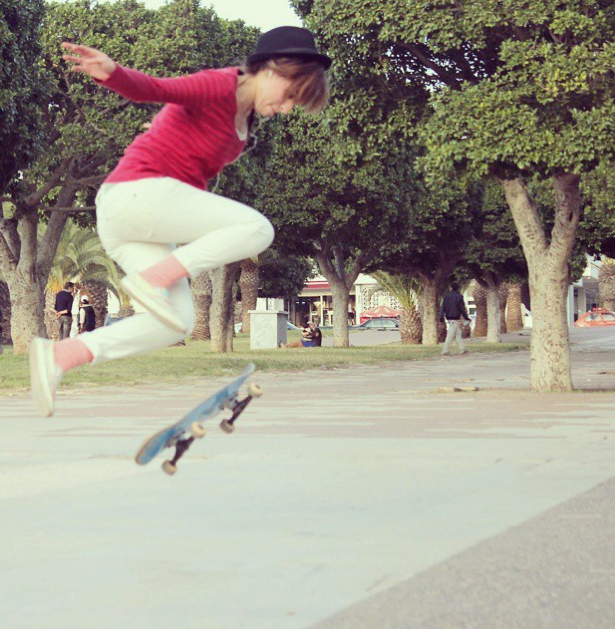 More girls do skate when they see girls having fun skateboarding. And we all look stylish when we encourage each other on & off the board. 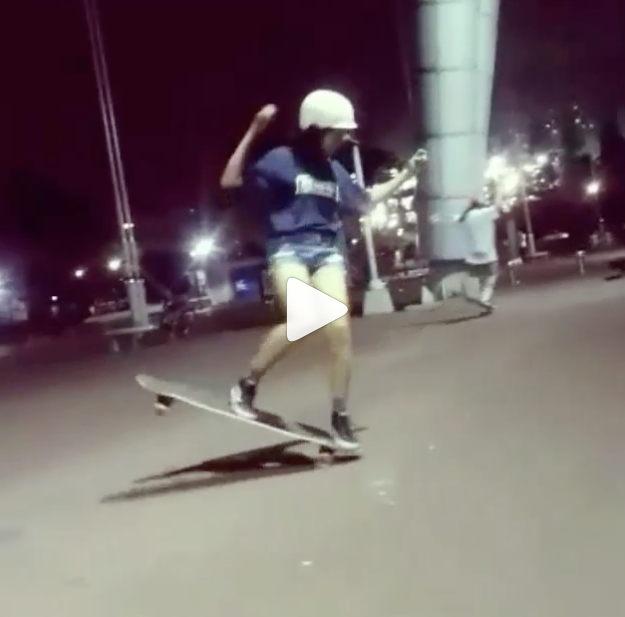 This is a snap from an amazingly fun video by kimbyelchorong on her Victorsboardshop, Sugapoint skateboarding in Suwon, South Korea. Huge thanks to kimbyelchorong for sharing and translating – I’m absolutely thrilled when I see girls across the globe having fun on a skateboard. According to the internet we are separated by over 6,000 mile or almost 10,000 km. Distance is nothing when you have shared interests and encourage each other to succeed wherever you are. True style is global – let’s keep it that way on & off the board!